2,500 m tall and have been studied very little. They are quite impenetrable but can be reached by three days of hiking. 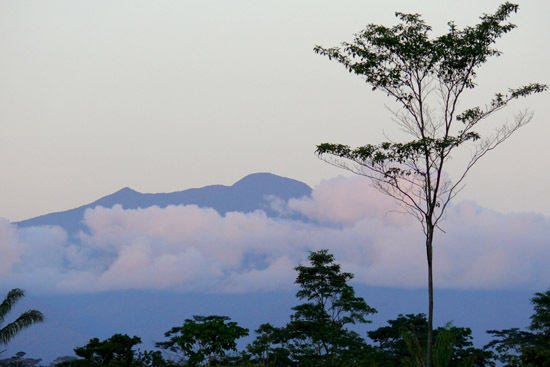 The entire mountain chain is included in the “Reserva Comunal El Sira”, at 616,413 hectares (2,380 sq. 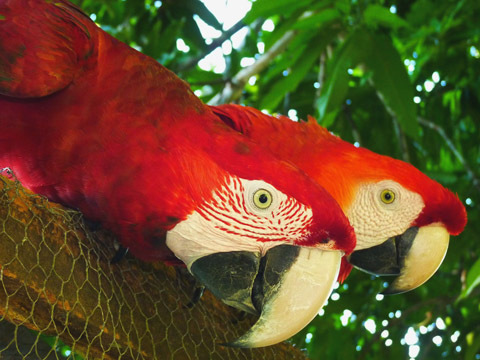 miles) the largest communal reserve in Peru, with an official status equivalent to that of a conservation area. 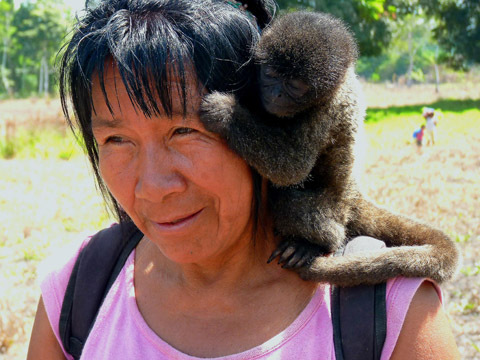 It is shared among the Peruvian departments of Ucayali, Huánuco and Pasco. The southernmost part in Pasco even belongs to a biosphere reserve (Reserva de Biósfera Oxapampa – Asháninka – Yanesha). 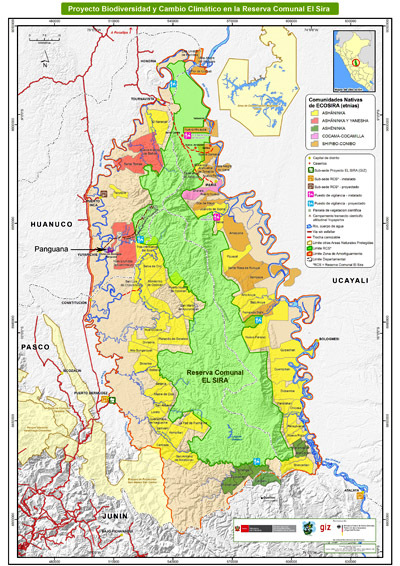 Panguana (indicated on the map above) lies in a central western buffer zone of the Sira reserve, which strengthens its status as a Conservation Area and increases its importance as a model for rainforest research and protection. There are 400 different indigenous peoples in the Amazon basin, and 5 ethnic groups in the buffer zones around the Sira reserve; the latter are the Asháninka, Yanesha, Ashéninka, Cocama-Cocamilla, and the Shipibo-Conibo. 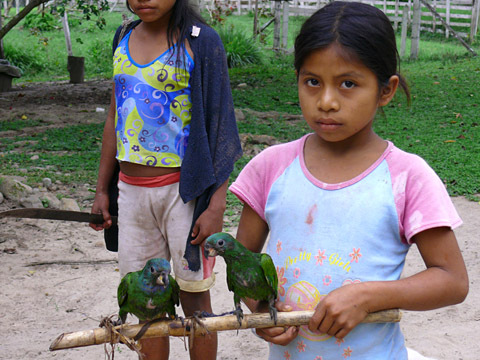 The Asháninka population of more than 80,000 makes this the largest indigenous nation in the Peruvian rainforest. “Asháninka” means ‘siblings, people speaking the same language’. 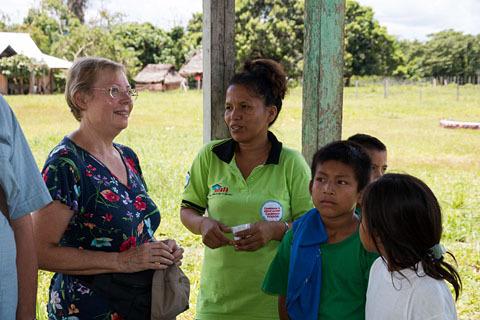 Several Asháninka families live as Panguana’s immediate neighbors only 3 km (less than 2 miles) away in the village of Pampas Verde, which joins seven other divisions and villages to form the “Comunidades Nativas Asháninka Nuevos Unidos Tahuantinsuyo”. At the feet of the Sira mountains these people still enjoy largely pristine, native living conditions. 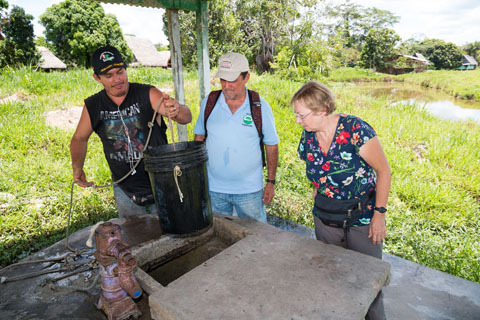 The villages and schools are supported by the Hofpfisterei company and Panguana. Requests from council members and teachers especially concern school materials, sports gear and projects to improve the infrastructure. Tamed animals are popular as pets among the native people.